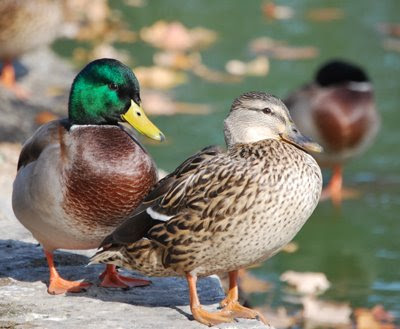 On a sunny Sunday, I found these ducks at the Jackson Park pond, sunning themselves and being generally lazy. They didn't seem to be very concerned about being approached. I assume this probably has something to do with the amount of "people time" they get all summer long.